Cirtrik offers a full range of network components to meet all your networking requirements with ongoing support for all your needs. With an impressive warranty service on products you can be assured of quality, reliability, service and support. 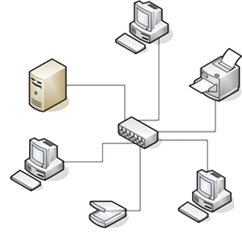 Wired offers ethernet and cable-based networking products to allow easy installation and operation of your Computers systems and peripherals into your wired network. Wireless delivers connectivity for advanced computers and printers with wireless solutions to meet the needs of evolving network environments. Discontinued products We will find suitable replacements for currently installed hardware and connected devices. Current installed products. We will endeavour to support you with networking products that are already installed.